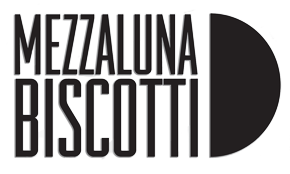 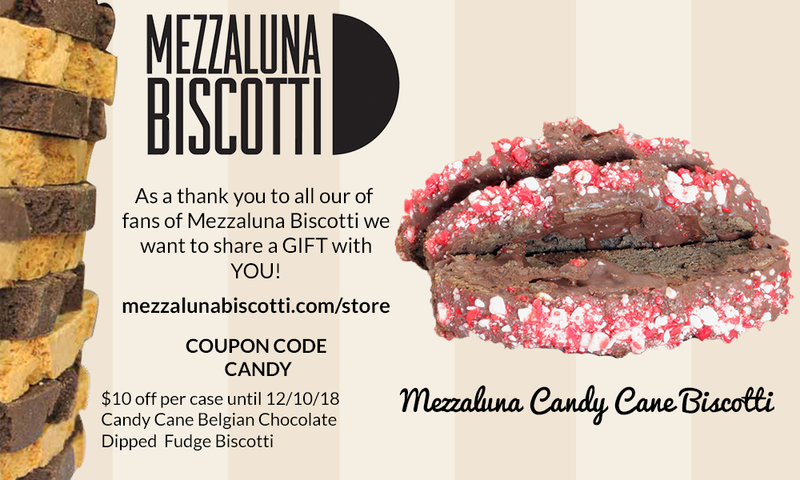 Mezzaluna Candy Cane Biscotti Promo Code! 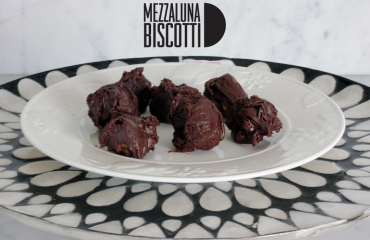 As a thank you to all our of fans of Mezzaluna Biscotti we want to share a GIFT with YOU! 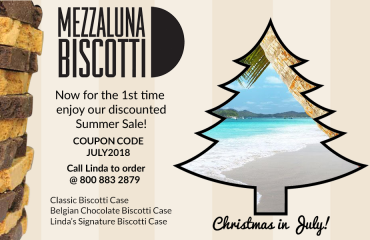 Candy Cane Biscotti are available for order until December 10, 2018. 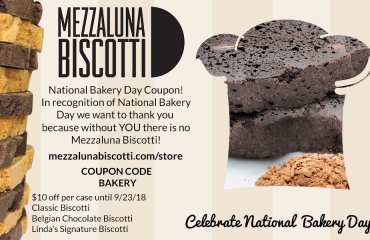 Use the promo code CANDY at checkout.